If you deal with after-sales servicing of products, you will need a solution which can manage this process easily. Our Warranties, Service and Repair module seamlessly integrates with NetSuite software to track the warranty, service and repair of your products. 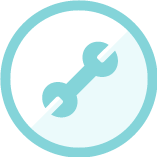 Our powerful module for NetSuite, Warranties, Service and Repair allows you to easily track the location and repairs history of serial numbered items from within NetSuite, while managing contract renewals for an enhanced customer experience. As such it is particularly suited to businesses that issue warranty-based contracts for their products, and /or have a requirement for billing customers for servicing or repair costs. Why Warranties Service & Repairs? As there is no typical way for businesses to record repairs and warranties, this module has been designed to be configurable for your company’s specific terminology and requirements. Estimates can be created for repairs outlining cost of parts and labor. These estimates can then be printed or emailed to the customer. A log of the assets repair history over time is created and multiple repairs can be logged and tracked for a single item. Information such as repair category and priority can be added to the repair. Integrates with NetSuite’s pricing structure to allow for specific customer pricing on both parts and labor. A sales order and subsequent billing can be created for any work carried out, including labor and parts. If an asset moves between locations this can be tracked and amended in the system. Use the NetSuite diary functionality to schedule engineers to both repairs and servicing jobs allowing you to better utilize your staff.